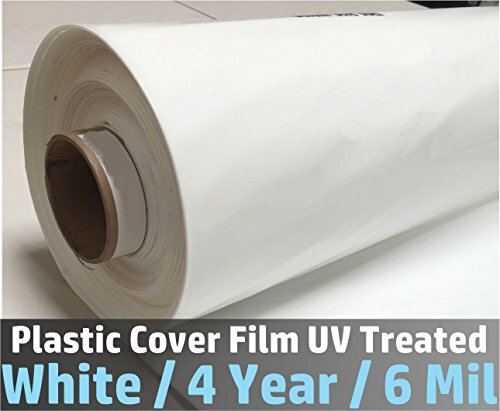 COVER FILM PROPERTIES Manufactured in Israel, ISO-9001:2008 International Standards Rated for 4 year use UV stabilizers, top quality white polyethylene Film without UV stabilizers will fail after few months 6 Mil White Greenhouse Film with 50%-55% shaded Superior Strength and Toughness SHIPPING Greenhouse Poly Film will ship within 2-3 days of receipt of funds Larger sized poly rolls will ship via Motor-Freight or pallet Free shipping for these items Don't see the size you need? Contact us for custom sizes. One roll of White plastic film 25ft. x 25ft. 4 year rating. Product has good light transmission for optimum plant growth. If you have any questions about this product by Sunview White, contact us by completing and submitting the form below. If you are looking for a specif part number, please include it with your message.